• Our course offers 12 classes filled with 70 minutes worth of distilled, powerful content ($1,500). • You will receive over 14 hours of rich teaching materials covering the 9 Enneagram types, coaching tips, and business marketing strategy. • Over 170+ pages of content and resources to download and print. 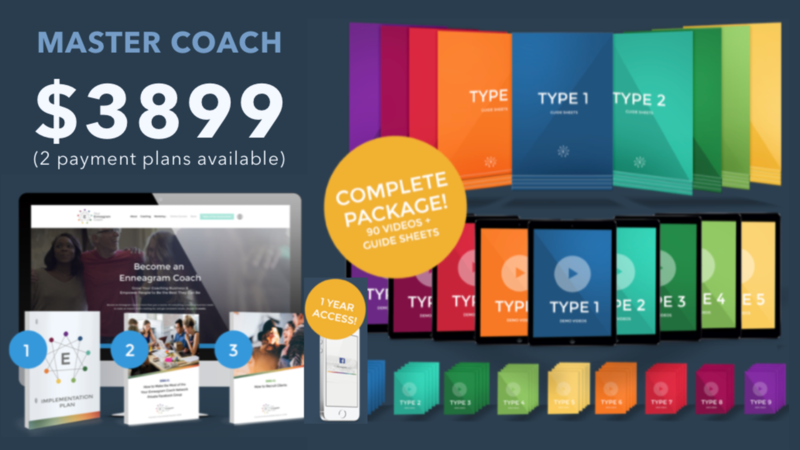 If you're ready to hit the ground running with your coaching business, these Guide Sheets offer a turn-key approach to coaching clients through your sessions. A traditional coaching series with one client will include 5 sessions. I have created all of the worksheets you need to guide clients through each of these coaching sessions (45 Guide Sheets total). By purchasing a package that includes these sheets, you will have everything you need to start with your first client. In addition to our Guide Sheets Beth has also created Demo Videos, taking almost all of the upfront work out of preparing for your coaching sessions. These demo videos give you a front-row seat to see how Beth coaches clients of all 9 types through each of the 5 coaching sessions in a traditional series. By purchasing a package that includes these videos, you will have everything you need to start with your first client.